Let’s waste no time: Chen Chen’s When I Grow Up I Want to Be a List of Further Possibilities (BOA Editions, Ltd. 2017), winner of the A. Poulin Jr. Poetry Prize, is a brilliant first book. Scratch that—it is simply a brilliant book and one of my favorites of the year. Chen’s poems read often as “at once elegant / & weary,” and the collection reads like “an elegy that has felt light” (“To the Guanacos at the Syracuse Zoo” and “Elegy to Be Exhaled at Dusk”). Chen’s humor is unexpected and entrancing, his lyricism gorgeous, and his transparency truly worthy of a great deal of respect and admiration. Smart, funny, heartbreaking and, increasingly rare in contemporary poetry, a truly original voice When I Grow Up I Want to Be a List of Further Possibilites is a startling and important debut. In a recent interview Chen said, “The book is about my mother. My messy, messy relationship with her. And it’s about ‘further possibilities,’ yes—in relationships, in selves. The book explores what happens when we refuse to stop desiring and becoming.” The presence of Chen’s mother becomes an apparent anchor even in the very first poem “Self-Portrait as So Much Potential”: “I am not the heterosexual neat freak my mother raised me to be. 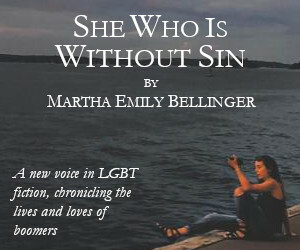 / I am a gay sipper, & my mother has placed what’s left of her hope on my brothers.” The wish to be both close and distant, intimate and guarded, infuses every poem in When I Grow Up. But there is so much happening here in addition to that, especially when we look at the formal decisions Chen makes—namely the expansive, physical scale of the poems on the page. In “How I Became Sagacious” Chen writes, “I wished for a place big enough for grief.” These poems seem to attempt to create that space, or at least to take up as much space as they can, sprawling, diverging, expanding, filling. In “Antarctica” Chen mentions “the lung-shaped trees” whose branching, like vessels and bloodlines, seems to act as a formal inspiration on all levels of the collection. The sentence, poem, and book all become enactments of the titular “further possibilities.” Chen uses daring pivots throughout, humorous one moment, angry, grief-stricken, plainly observant the next. I just love myself, & I want people to know. Chen’s love is more than romantic or sexual. It is a radical understanding of caring and being cared for. Chen mentions speaking “our specks of here to the everywhere” which is possibly my favorite definition for love (and/or poetry for that matter) (“For I Will Do/Undo What Was Done/Undone to Me”). When I Grow Up is a conversation between a boy and the world in which he finds himself—one confusingly sad in terms of the way some relationships fail or falter while it is also radiant with joy, a world in which a poem like “For I Will Consider My Boyfriend Jeffrey,” an ecstatic, glowing love letter from the poet to his partner can be brought forth into being. 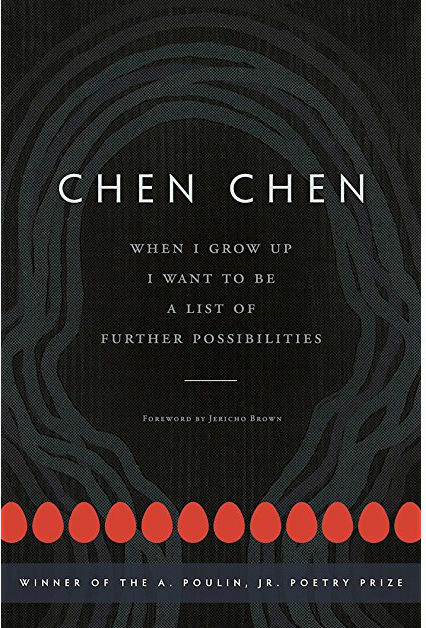 For all the universal themes covered—love, family, grief, origin—one of the most engrossing is Chen’s handling of self-doubt. “I wonder if it’s true, if everything I write is in some way an immigrant narrative or another coming out story” (“Poem in Noisy Mouthfuls”). And from “Chapter VIII”, “Raising one’s voice in a small space / felt at once godlike & childish.” Haven’t we all felt this way? Am I reducible to the facets of myself? Am I a god or a child trying to make myself heard? Chen gives us no answers, though I’m inclined to say that, however small or large the space, these poems certainly feel godlike. 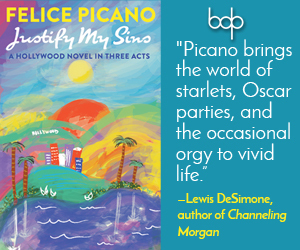 In writing this review, I found myself reading When I Grow Up I Want to Be a List of Further Possibilities for a long time, dwelling with it. Every three poems or so I felt the deep desire to write; Chen made it look so easy, this saying what one means in a clear way with charm and wit. Surely I could do it. Dear reader, I could not. And so I would return to my lessons at the feet of a very young master, glad and grateful to learn from him again and again.